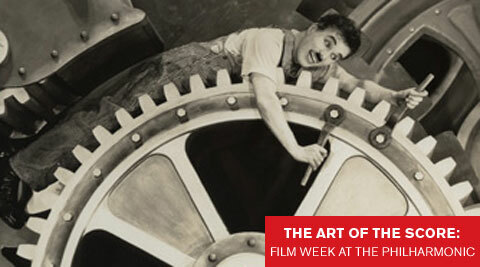 As part of their Art of the Score: Film Week at the Philharmonic, the New York Philharmonic presented two films of Charlie Chaplin accompanied by music. The opening piece was to the first film with The Tramp – called Kid Auto Races at Venice. This short film was scored by Timothy Brock, conductor for the evening. The main feature was Chaplin’s Modern Times. I had no idea that Chaplin actually wrote music to Modern Times. The orchestra played well and was expertly conducted by Brock.